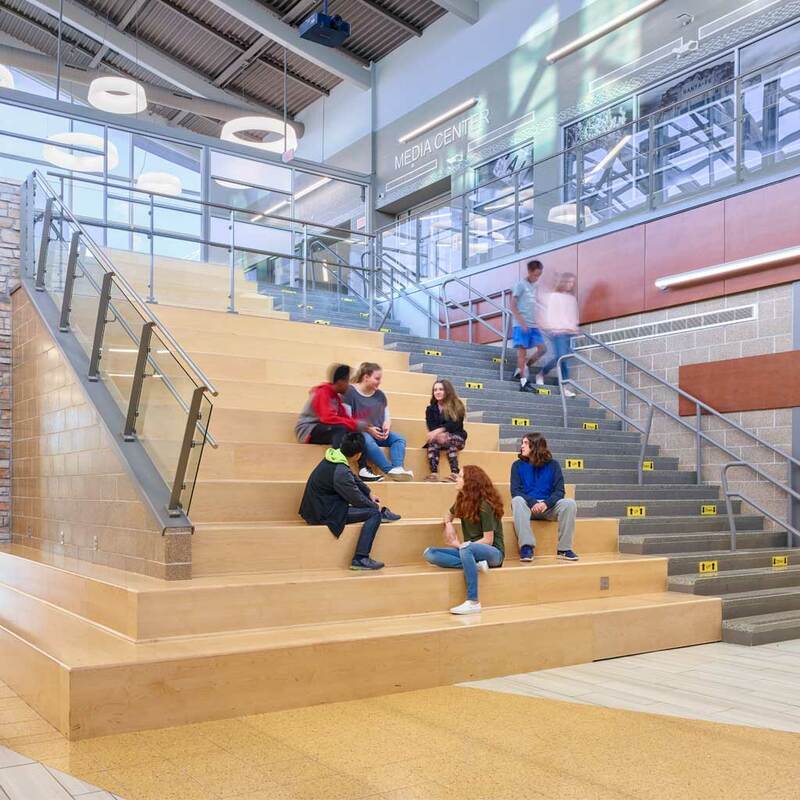 Learning happens outside traditional academic neighborhoods. 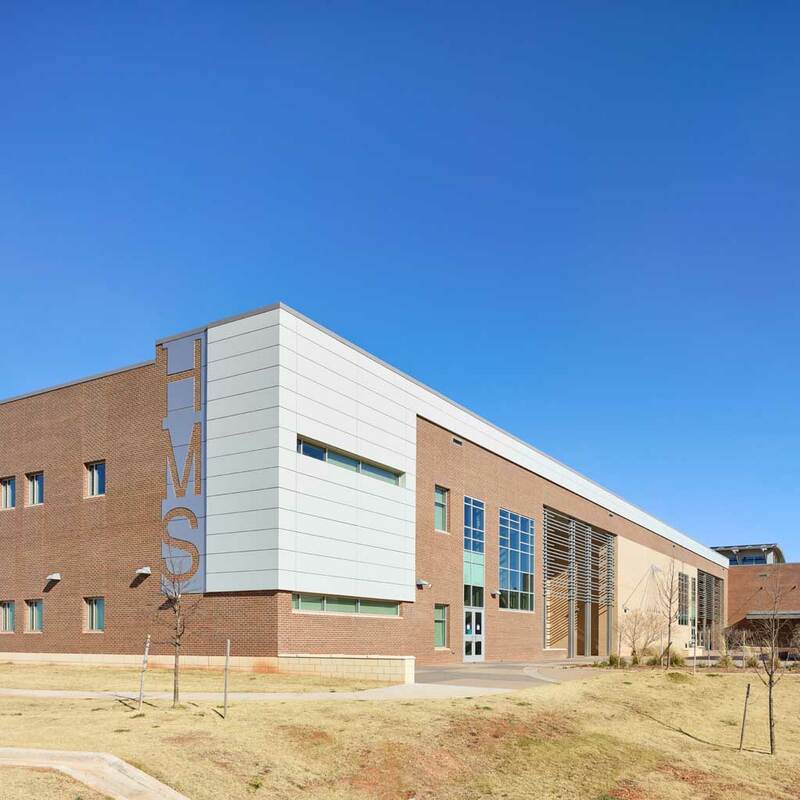 An outdoor classroom and an exterior courtyard encourage students to take learning outside. 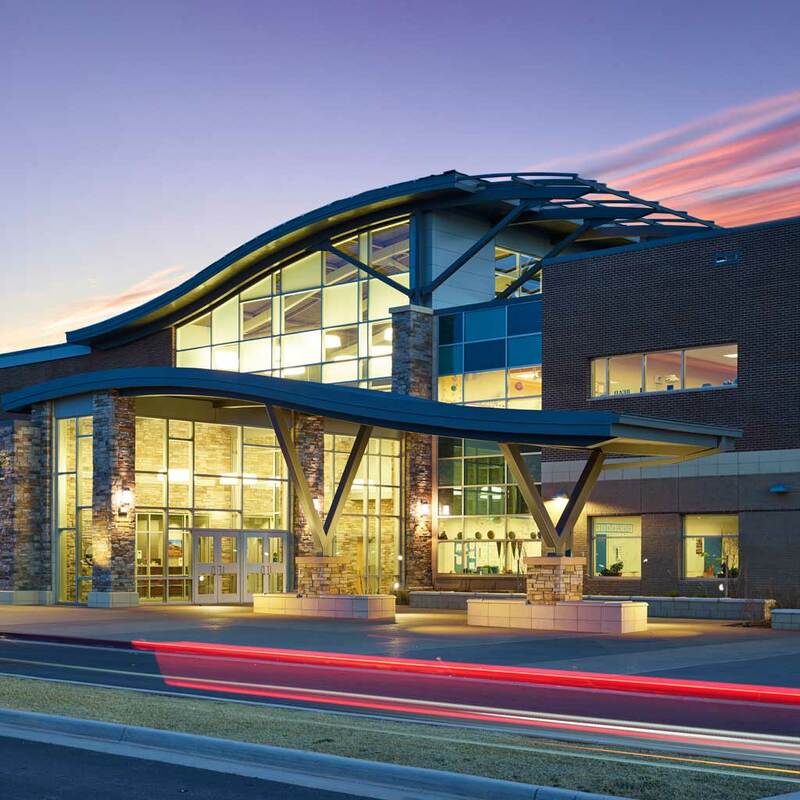 Designing for middle school students presents unique challenges because these young adults are five years removed from teddy bears but five years away from driving. 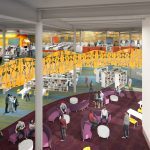 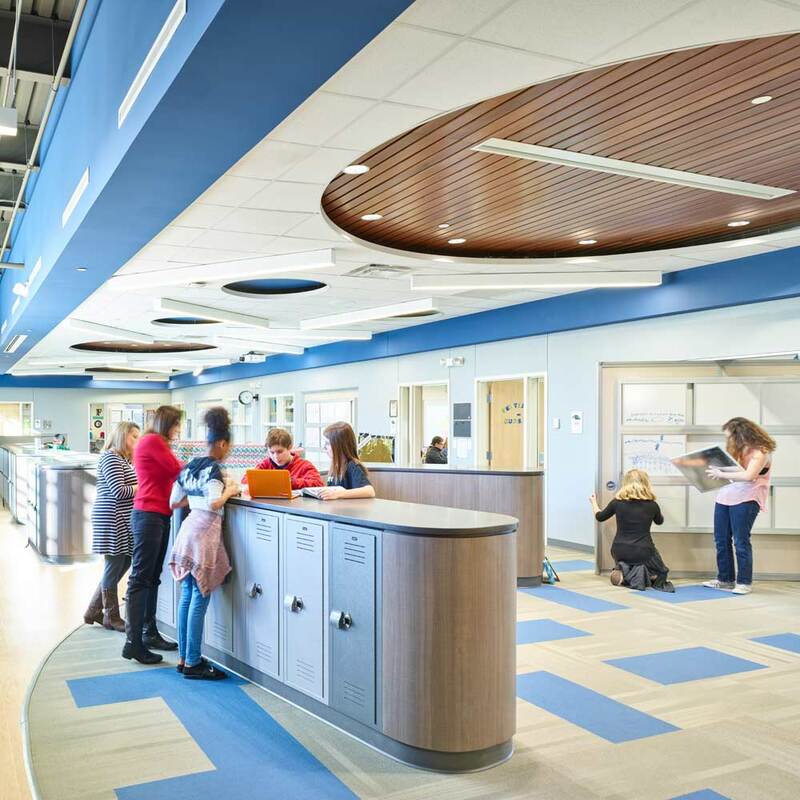 They’re in the process of significant developmental changes, so flexible spaces that encourage adaptable teaching methods for every type of learner are critical. 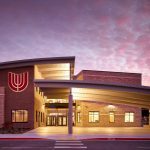 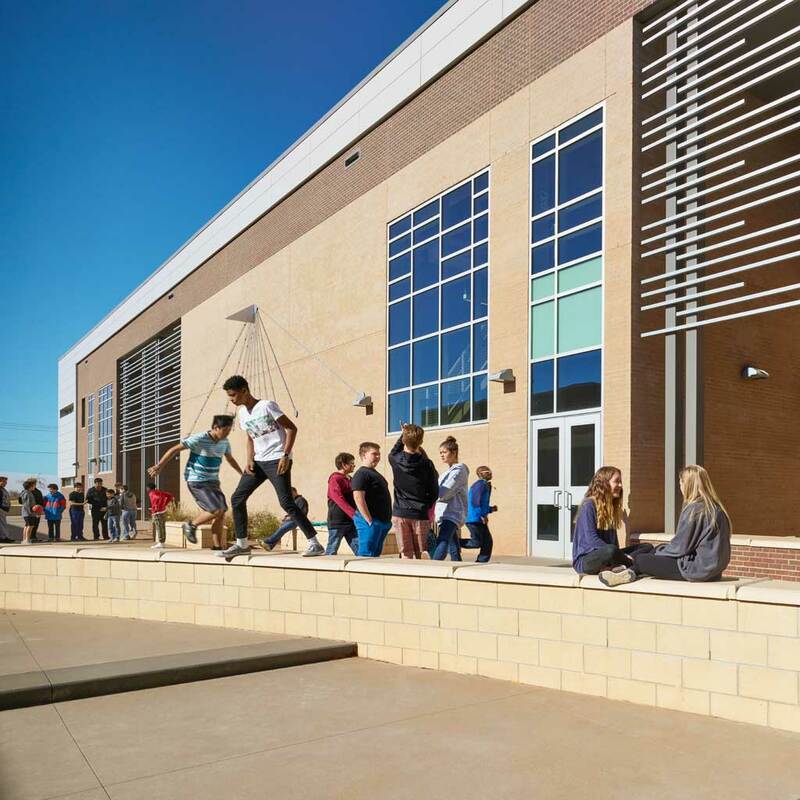 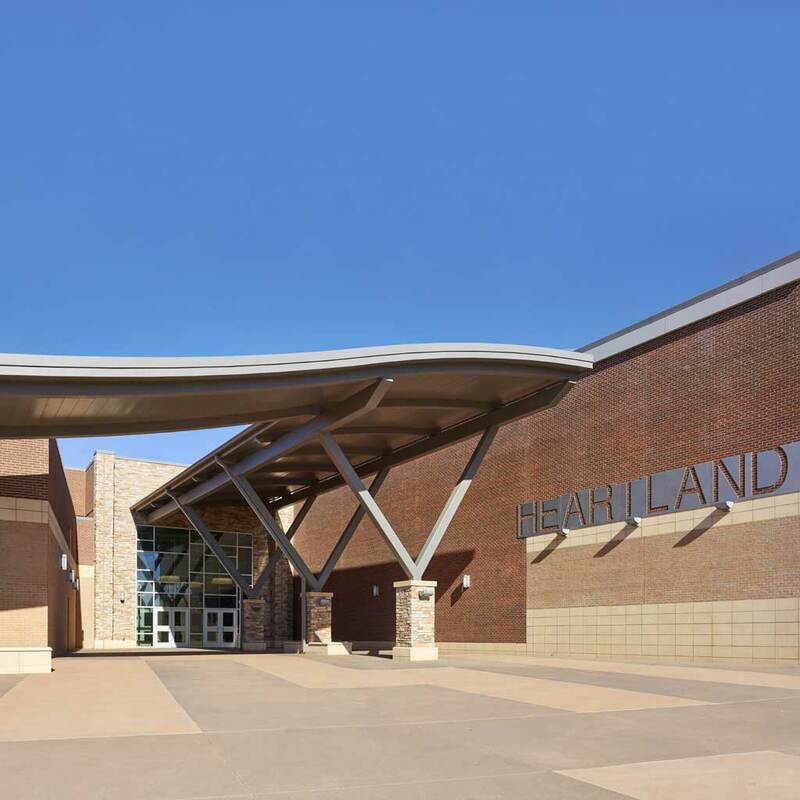 Looking for opportunities to take students outside of the traditional classroom was a priority for Edmond Public Schools’ newest middle school.